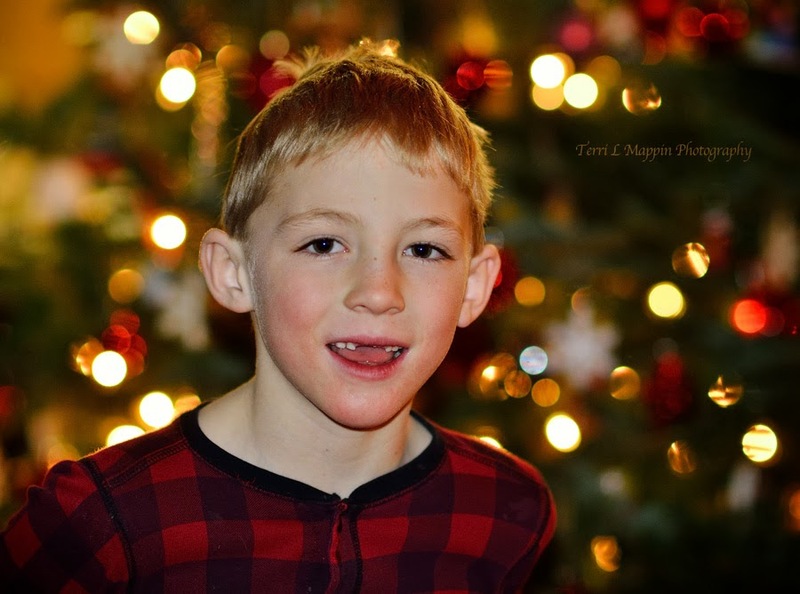 Terri Mappin Photography : "All I Want ..."
"... Is My Two Front Teeth!" Not the best 'snap' ... and it was a quick snap! Our boys are very busy and our youngest is extra busy these days with the excitement of the holidays, so trying to get him to 'sit still' is next to impossible! However, I do believe he is wishing for his two front teeth! I don't think they will make it in for Christmas but he is busy wishing they would!